As a new month starts, I thought I'd post something I haven't posted in awhile---a link roundup! Get settled in, and be prepared to check out some awesome websites, Facebook groups, and radio shows that deserve a special shout out! First up...Several weeks ago, I was honored to be asked to participate in a round table discussion on Paraversal Universe Radio concerning the topic of the most haunted locations in the world! I joined hosts Jennifer Scelsi and Kevin Malek, as well as Jason Bland from Paranormal Soup and Gavin Lee Davies of the Paranormal Chronicles, in a spirited discussion about some REALLY awesome places around the world. If you missed the show, you can find it in the archives, and please check out the websites of Paraversal Universe, hosted by the Paranormal King Radio Network, as well as those of my co-guests, below! April was also the month of my least favorite holiday when it comes to the paranormal world---April Fool's Day! There weren't too many new hoaxes popping up, but I was ready for them all with the help of a few websites! 8. 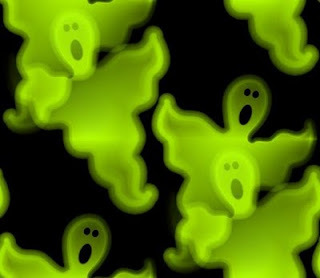 Ghost App Ghosts: This Facebook page has an awesome collection of ghost app images, both menu screen captures, and examples of the images actually being used. If you have ANY reason to believe that a photo apparition might be a ghost app, consult this page! I check it, probably at least once a day. If you are a paranormal investigator or researcher, you need to familiarize yourself with this extensive database. 9. The Museum of Hoaxes: An excellent website devoted to exposing the truth. If you see a photograph or story that seems too strange to be true, it probably is...and its probably featured on the Museum of Hoaxes.